Trish Knits.com – Look, Aunt Pearl! You are here: Home / blog / Look, Aunt Pearl! 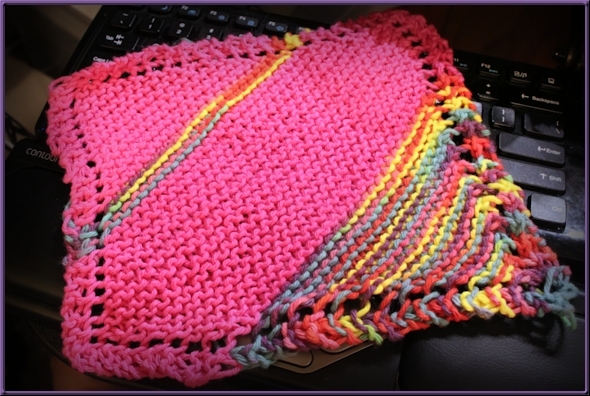 I was able to salvage some of the faded bright pink yarn, and I mixed it with some rainbow yarn to come up with this little cloth. I can’t believe I finished it in one day. More to come!